Prepare the pastry and roll out then blind bake the quiche base for ten minutes. Follow Good Food directions for a basic pastry. Slice the courgette and tomatoes and fry them on a griddle at a medium heat until charred stripes appear, this takes around 5 minutes. Whisk the remaining ingredients for the quiche filling together and pour the liquid into pastry the base. Arrange the courgette and tomatoes in liquid. 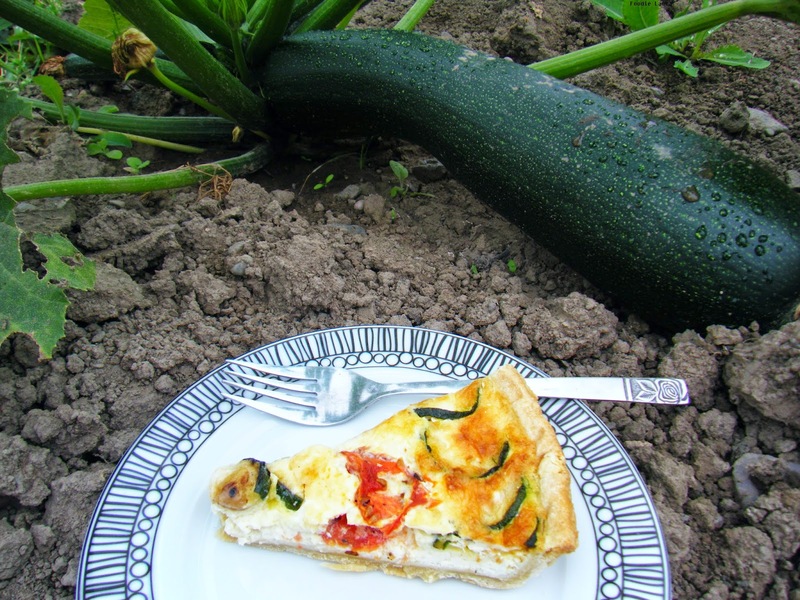 I laid a ring of courgette around the outside, then a ring of tomato followed by a circle of courgette in the centre. 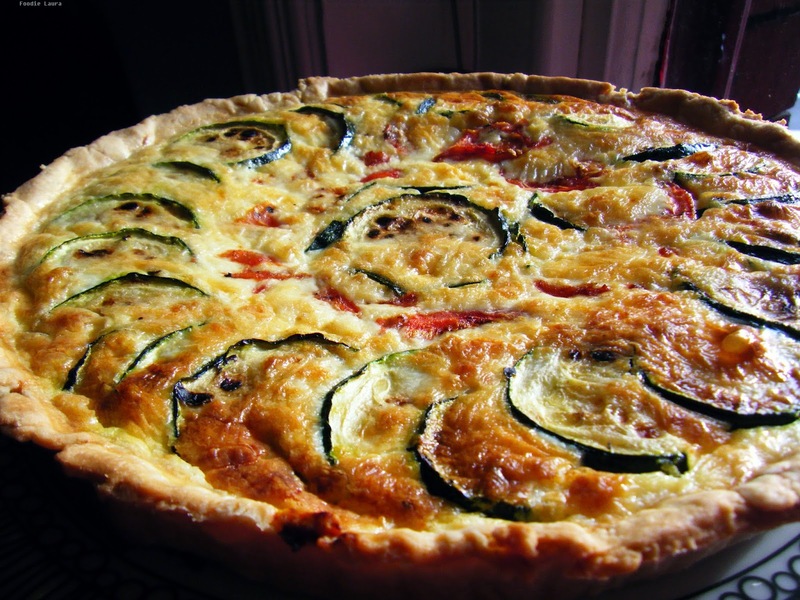 Bake in the oven for 25 minutes, the filling should springy to touch and not liquid and the top of the quiche will turn golden brown.